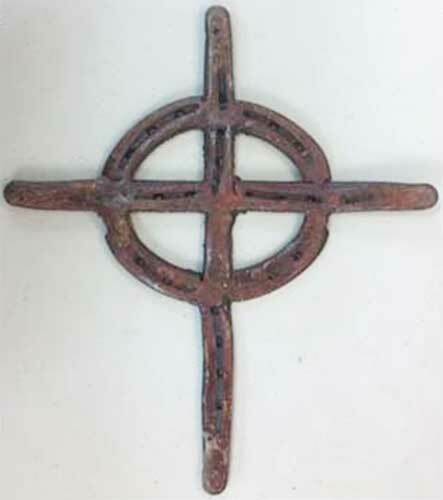 This Celtic wall cross is an exclusive item of The Irish Gift House. This gritty Celtic cross is handmade from real horseshoes by a local artisan in Arizona; no two are the same. The 8” wide x 11” tall Celtic wall cross features solid metal construction and is received with a Celtic cross history card, complements of The Irish Gift House.